This webinar includes registration to the Accounts Payable Specialist Certification (APS) Program in IOFM’s E-Learning Center. The course includes access to the e-textbook, on-demand training video and 3 attempts at the exam. The content is best suited for those below the Manager level, and is built around peer-tested best practices for each phase of the payment process – from receipt of invoice, through processing and payment. In one full day, our expert trainer prepares you to earn your certification credentials as an Accredited Payables Specialist and is available to answer your questions live and provide additional guidance. You’ll learn best practices to mitigate risks stemming from tax laws, as well as T&E-related fraud and abuse. Your instructor will also offer insights into how automation will continue to adjust how you do what you do. Member discounts apply. Make sure that you are logged in before completing your registration in order to get your member pricing. 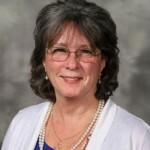 Judy Bicking, APM; is a Senior Trainer for IOFM and a 27-year veteran of Johnson & Johnson. Judy is a recognized pioneer and leader in Procure-to-Pay and Credit Management. After a successful career in AR and AP management, Judy lead the development and implementation of J&J’s two Shared Service Centers; located in the U.S and Europe. These shared services are recognized as World-Class handling over 200 decentralized companies and 2.5 million invoices. Judy also championed training for her staff, investing in the team earning the IOFM’s first AP Departmental Certification designation. Judy is a globally sought-after subject matter expert, trainer, and speaker. She has authored and helped develop the IOFM’s AP online learning center and is a co-founder and SME for the IOFM AP Certification program. NASBA CPE Credit and IOFM CEU Credit will not be available for this webinar. Per IOFM policy, certification classes, whether onsite at one of our conferences, live online or self-study do not count for CEUs. We know that earning your certification takes a lot of time! However, the nature of continuing education is that it is additional training you do after you are certified in order to keep up with the standards set by the program. Therefore, earning your credentials does not count towards your CEU requirement. If you already hold an IOFM certification, you may count subsequent certification classes for 6 CEUs towards that previously-held certification.